Versatile, high-performance poured underlayment. 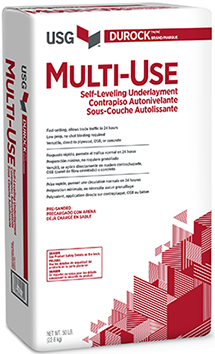 Durock Multi-Use Self-Leveling Underlayment is a high quality, pre-sanded cementitious underlayment for use in multiple interior applications. Ideal for wood frame, renovation, and light commercial construction.